A wide-open view of the practice of street photography by Michael David Murphy, While Seated. 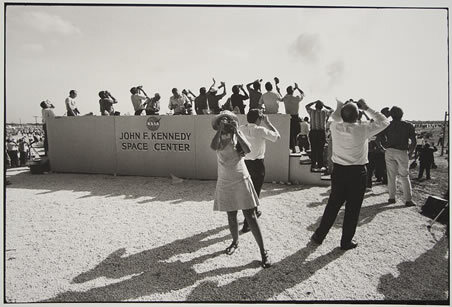 The strangest thing that happened over the holidays was stumbling across an essay I wrote when I was nineteen on Garry Winogrand, titled “Unsettling Exhilaration at Winogrand’s ‘Cape Kennedy’.” (I also found a vintage Pac-Man pin in a drawer with my baseball card collection.) I had a semester of photographic interest in high school, and I futzed around in a darkroom in college. But I have absolutely no recollection of writing this paper – though it’s hardly a paper, and what’s inside isn’t really writing. I mean, when is exhilaration not unsettling? The paper’s so old it wasn’t even written on a computer. 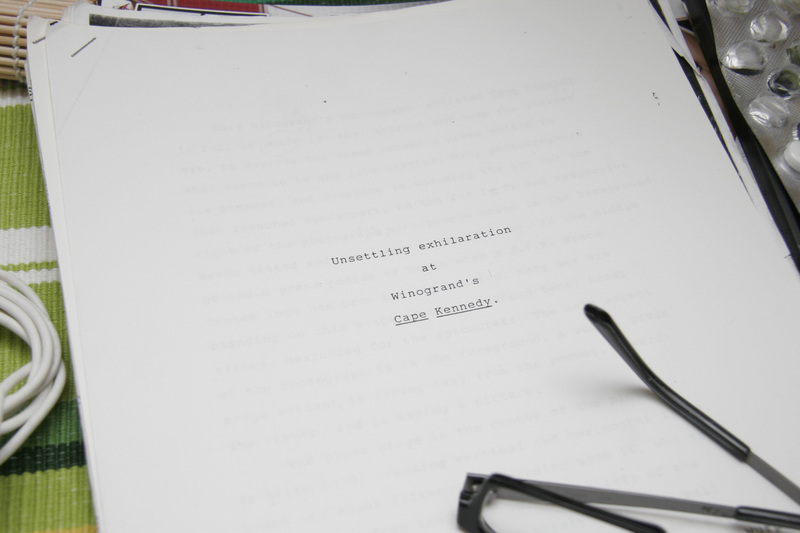 It was on one of those little sixteen-characters-at-a-time word processors. I didn’t really understand what school was about until my junior year, and it shows. Inside, I misspelled subtlety, demonstrated that I don’t understand narrative irony, and I even made-up a few words like “downess”. Weirder still is that I’ve been writing a lot on Winogrand lately. I hope to bring some of that to the web (or elsewhere) soon. Stay tuned. If Pac-Man (nice PacMan pin shot!) still interests you here is a link to an interview with the creator where he talks about the inspiration for the game.